At American Family Fitness we understand how important your children are. We are happy to offer our KidZone, the Tween Zone, birthday party packages, camps, and so much more to help you give them the happy and healthy lives they deserve. They will never want to leave! At American Family Fitness in Short Pump, we are proud to offer our KidZone for the convenience of our members. With a family membership, parents can workout without worry thanks to our onsite childcare services for ages 6 weeks to 8 years old. Youth who are 9-13 years are welcome to attend the Tween Zone, a special area in the gym that provides classes and activities for older kids to enjoy while parents work out. You can also drop off your kids with us and enjoy our Parents Day/Night out program. Your children will have a blast with crafts, games, movies, and pool play. Also enjoy our two amazing birthday party packages. We love to help kids from ages 4-13 years celebrate their birthdays, and we’ll even do the planning! Don’t sit around all summer like a potato! Come see us at the best gym in Short Pump for our wide variety of engaging camps. Come participate in your favorite sports, make new friends, or play games and swim in the pool. It’ll be the best summer ever. 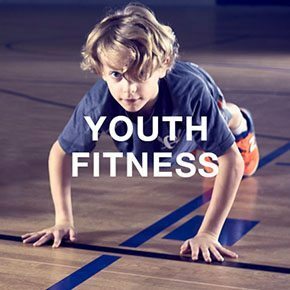 We're proud to offer American Family Fitness families a wide variety of youth fitness programs. 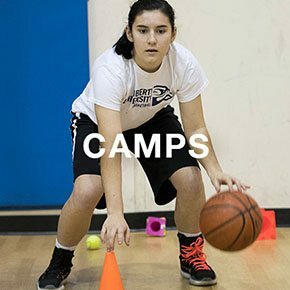 Everything from swimming lessons to summer camp - you name it, we probably have it at our gyms. Call the gym today for more information. Does your child have a birthday coming up? Look no further than our Short Pump health club for the best party ever! 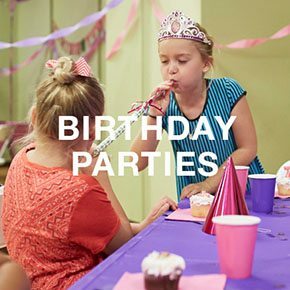 With two super party packages, the Birthday Bash Standard and the Birthday Bash Deluxe, we love to help kids from ages 4-13 years celebrate their birthdays. You provide the theme and we'll do the rest. Be sure to ask for more information at the Welcome Desk.